When the collaboration between EoC and AMU1 intensified, about ten years ago, the "aid" provided to people in need around the world was mostly aimed at access to education and assistance for basic needs (food, medical care, housing). From the very beginning, a primary goal of the collaboration was to tackle poverty more "upstream", aiming at creating employment, opportunities of decent and stable work. It is an ambitious and complex objective that, as opposed to assistance, requires a lot of human and professional competence to manage projects and accompany the beneficiaries, also in case of a path of leadership or reciprocity. Therefore in recent years we have strengthened the project capacity of certain local organizations showing interest or affinity to the EoC, and it's proved to be a job that is paying off. In 2015 we have handled 11 ongoing projects, which are creating 350 jobs, with a total investment of 500,000 Euros. In Brazil , on an ancient landed estate worked by families who are the descendants of former African slaves, we have managed the conversion of production into organic family farming, starting fruit processing for confectionery products and handcrafts from vegetable raw materials. The business now involves about 25 families and is coordinated by the local NGO Instituto Mundo Unido. Also in Brazil, we have worked on the creation of a project office inside the National Association for an Economy of Communion (ANPECOM). Training the staff, drafting the regulation and creating of a local Reciprocity Fund made it possible to launch the Development Programme for Inclusive Companies of Communion: a new tool to promote and strengthen enterprises that favour the economic integration of disadvantaged people. Each year the best projects will be selected, and they will be accompanied by ANPECOM experts and partially financed by the profits of the EoC businesses in the world. In Argentina the first project of sustainable tourism and solidarity of the country is involving 83 families of 5 indigenous communities in what can be called an extraordinary experience of communion. With them we are upgrading housing facilities and providing the technical skills needed to accommodate tourists, improving agricultural and handicraft production, in order to get a decent income for the families involved. The project is managed by the Fundación Comisión Católica Argentina de Migraciones. In Bolivia we have started a Microcredit Fund aimed at people who do not have access to normal bank credit. It is managed by the Fundación UniSol in collaboration with the local EoC commission. The project is complemented by training, advice and support to strengthen activities and to acquire the necessary management skills: to date the start-up and consolidation of approximately 40 micro-enterprises has been funded. In Paraguay the project of strengthening small family businesses is now ending. It has been running in collaboration with the Asociación Civil UniPar and the local EoC commission. Through taking care of the administrative process, management training, improved equipment and facilities, and strengthening of the marketing it has been possible to achieve an improvement in the life quality of the families involved, enabling children to study and parents to take care of themselves and bring their homes to an improved state. In Cuba we have assisted at the birth of the counselling cooperative named Gestar, which serves as an incubator for new start-ups. A first experience of incubation has been the start of a biodynamic farm. In the Philippines work placement of twenty street kids continues, through the production of tapestry and high quality furniture for the domestic and international markets. About 20 young people are involved, in collaboration with the local Focolare Movement. And then there are also the many forms of poverty in Europe, in this historical moment presented mainly through the face of the unemployed and the refugees. In Portugal we launched a project for work orientation, with psychological support and legal and administrative advice for starting micro-enterprises: a meeting between demand and supply of personal care services, incubation space for small craft activities, for a total of some 50 beneficiaries. The project is coordinated by the local NGO called AMU-Portugal and is running at the seat of the EoC business park. In Italy an innovative social and employment project has been started for 50 young people in extreme exclusion including refugees landed in Sicily without their families and some Italian young people. They will be attending training courses and work placements, accompanied by psychologists and educators and supported by a national network of families and businesses. 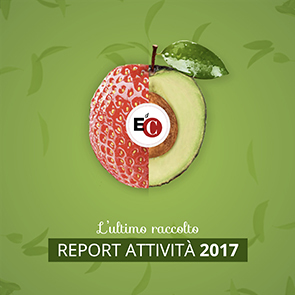 The local manager of the project is the EoC cooperative Fo.Co., with the participation of AFN Azione per Famiglie Nuove onlus non-profit organization. Still in Italy, in the region of Campania, we have supported the re-training of people with addictions, in the framework of a community rehabilitation programme of social farming run by the cooperativa Demetra in collaboration with AIPEC. In Genoa, on the other hand, we are supporting the non-profit organization Associazione Città Fraterna onlus in their programme providing assistance to the families of those who have lost their jobs, in order to accompany them in re-training and re-employment. Finally, during the year 2015 we funded 193 scholarships and basic assistance to 495 families in 11 countries around the world.